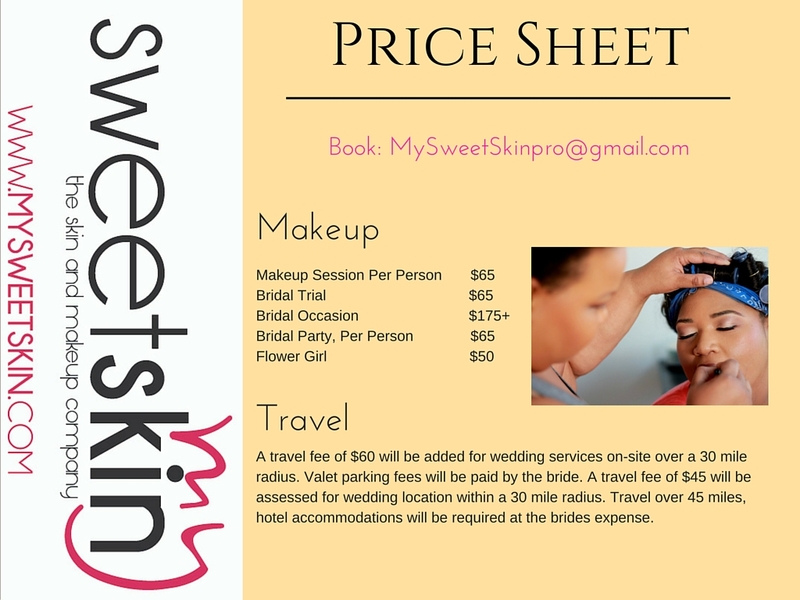 Makeup will be completed to client’s satisfaction, but is not to exceed allotted makeup time. Ample time is given for each makeup session upon booking. Acceptance of completed makeup application by client is acknowledgment by client that makeup is done to his / her satisfaction. Cancellations can be made up to 60 days before the appointment date without any extra charges. Your 50% original deposit is still non-refundable. If you cancel 30 days prior to your appointment date 50% of the total rate quote will be charged. If you cancel within 2 weeks or less of your appointment date you will then be charged 100% of the total rate quoted.